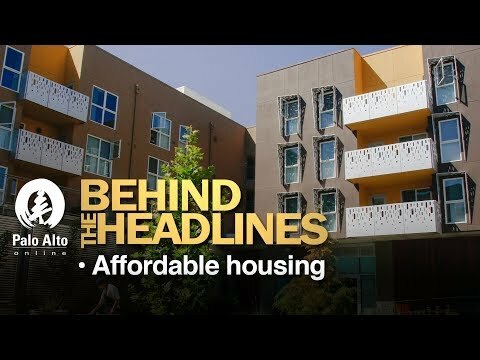 Fran Wagstaff, retired president of MidPen Housing, joins Weekly journalists to discuss the various challenges of building affordable housing in Palo Alto. Watch the webcast here. Do you plan to devote a full video to presenting the other side? This video only had one person who is an advocate for subsidized housing. This person kept having a sarcastic chuckle for any argument which was against subsidize housing. The Bay Area has a population in excess of 7 million people, most of whom would love to live in Palo Alto. The only way to make homes in Palo Alto "affordable" for everyone who wants to come is to reduce the number of people who want to come by making Palo Alto as congested and overpopulated as Los Angeles. That seem to be the goal of the Palo Alto Weekly and our own duplicitous "public servants," and they're rapidly getting their way. I suppose at least no one will envy us then, since we'll all be equally miserable. My thanks and appreciation to Fran Wagstaff for everything she achieved in her career. I agree with everything she said. Affordable housing really is a social justice issue. I just re-watched the video vis-a-vis your contention that Fran Wagstaff responded with a 'sarcastic chuckle' to any argument against 'subsidize' (sic) housing. I found nothing. As she said, "It's not just the property owners that deserve to gain from the vibrant economy". I don't blame people who work in Palo Alto for wanting to live here or near here. The real question is why did Palo Alto overbuild office space so much that so many people have to commute into Palo Alto? And, we, the residents, are somehow being blamed for trying to maintain our livability. Why do you assume that I am not a resident? I do not only work in Palo Alto (indeed, for the city itself), but I have lived here (or SF), since birth (Stanford) and I have been an adult renter since 1978. Believe me, I have paid the property taxes via high rents for all of those years. >> Why do you assume that I am not a resident? I don't assume that. ? >> I do not only work in Palo Alto (indeed, for the city itself), but I have lived here (or SF), since birth (Stanford) and I have been an adult renter since 1978. Believe me, I have paid the property taxes via high rents for all of those years. I was responding to the general thread of the conversation; I don't think I referenced your residence/status in any way?